Get $5 off a purchase of $30 or more at Walgreens online now through Saturday, Jan. 23. You can use coupon code HEALTH5 up to five times! Enter it at the checkout because the discount will not automatically show up. The deal includes contact lenses, which are sometimes excluded. 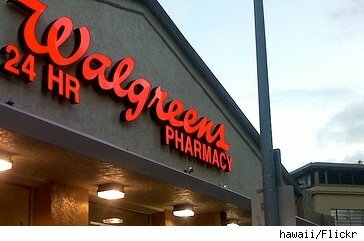 Walgreens is having a sale on vitamins, dietary supplements, and other non-prescription health treatments. Check their sale page for products and prices. Walgreens also has a page for clearance, online promotions (none right now), and best of all, coupons. Caveats: does not apply to pharmacy or photo orders, gift card purchases, taxes or shipping charges. Online only.